At Fayerweather, being well-educated means more than doing well academically. Our students participate in a range of enrichment classes, both during the school day and in our afterschool programs. Studio art, shop and music classes are all part of a child’s week. Being physically active is both fun and helps children focus on academics. Fayerweather has two recesses each day, physical education classes several times a week and offers team sports and clubs for children in Kindergarten through eighth grade as part of our afterschool program. We offer two afterschool programs; one for PreK through second grade and another for third through eighth graders. Our afterschool program combines choices, homework time, outdoor play and relaxing downtime. We strive to create a fun and stimulating environment that complements our regular school program. 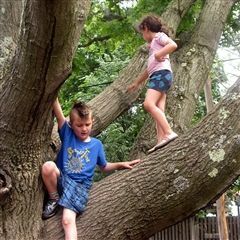 Fayerweather also offers a three-week summer program designed for children entering Kindergarten through sixth grade with two additional extensions for sixth through eighth graders. In all models, the philosophy is twofold; to introduce children to new experiences and ensure that they have fun!